Mauryan Empire Economy: From 321 to 185 BC, India was ruled by the greatest empire of all times, the Mauryan Empire. It was founded in 311 BC by the great emperor Chandragupta Maurya. Pataliputra was its capital. Mauryan Empire is regarded as the first major empire in the history of India. India in this period saw the most efficient rulers of all the time, ranging from Chandragupta Maurya to Ashoka the great. The economic system and economic policy of a nation are of great importance in determining the progress of a nation. The Mauryan Empire spread over vast territory indeed had expertise in organization and efficiency. To know the economic structure of Mauryan society, we must first learn the organization of the Mauryan system of government. Ultimate authority was vested with the king. The central administration was taken care of by two officers, the treasurer, and the Chief collector. The state income was managed by the Treasurer who was responsible for keeping the accounts and storing of the income. The chief collector had a number of clerks to assist him. He was responsible for monitoring and supervising the collection of taxes. Accounts of every department were to be kept separately in a systematic manner. Accounts of different departments were presented to the king by the ministers concerned. 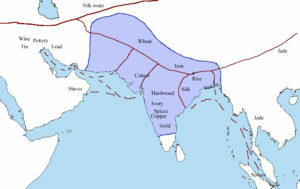 The Mauryan Empire brought large areas of land under cultivation. Land revenue was recognized as an important source of income. Assessment of land also took place at regular intervals. One-fourth of the national income was spent on public works development and salaries of the large staff. Public works included road construction, irrigation, rest house construction, army maintained etc. 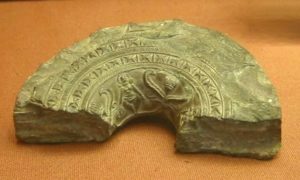 Iron was widely used in the Mauryan society. During excavations, different types of iron tools like socketed axes, sickles and possibly plowshares, have been found. These tools must have made the task of clearing the thick forests of the Eastern Ganges Plains easy and also facilitated the efficiency of agriculture. Numerous small heaps of iron slags have been found scattered all over the iron belt of South Bihar. Such refuse material left behind indicates that iron smelting may not have been of a very high quality. The system of government was such that the empire was divided into a number of provinces. Four provinces prevailed in four zones of the nation. A member of the royal family was put in charge of each province, with the official status of a Viceroy. Every five years an auditing commission would visit the provinces and do a check on the administration. 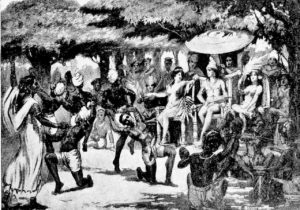 Major turning points in Indian economy during the Mauryan period were an improvement in communication and transportation, increasing the use of coins, improvement in trade and commerce, improved infrastructure etc. The period was also characterized by the growth of urban centers. Arthashastra written by Chanakya is regarded as one of the most important treatises on economics and politics.